Jake and Foxelia in a nice formal setting, dancing close. My personal favorite picture ever, I'm very pleased with how this turned out. 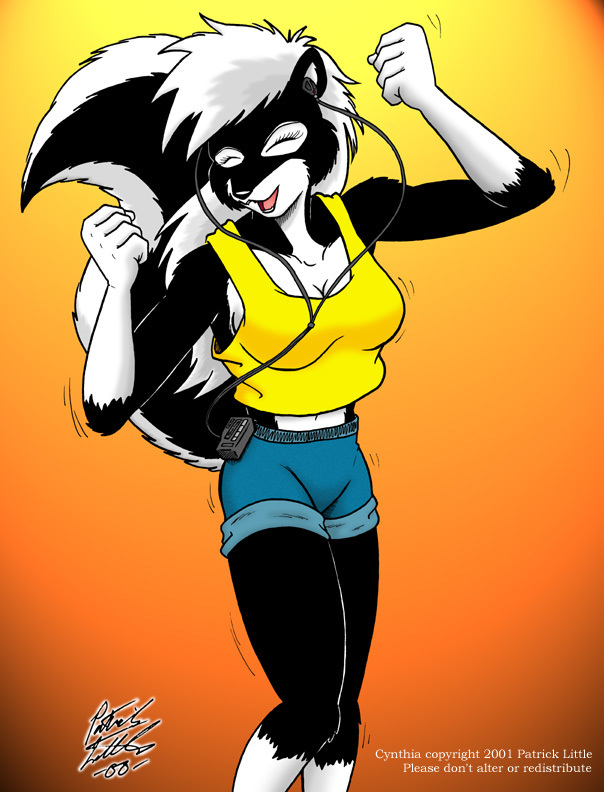 My frisky skunk femme, Cynthia, getting down with her new toy, a portable MP3 player (a gift from Alen, her boyfriend). Foxelia, in a rare action pose. When I created her and Jake, they were going to be action hero type characters, now they've evolved into somewhat "slice of life" characters in my mind. I'm not sure what I'm going to do with them, story wise. The result of me being in a silly mood and wanting to try something a little different. Download at your own risk. 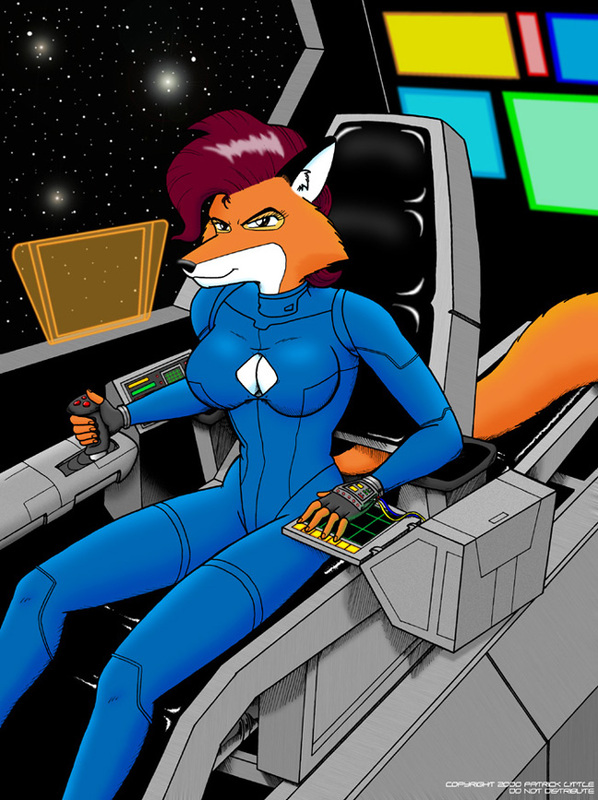 Foxelia in the cockpit of...something. Giant robot, starfighter? I don't know myself. I am happy with the background, one of the few times I was able to do one and have it look halfway decent. Jake getting John Woo on somebody. 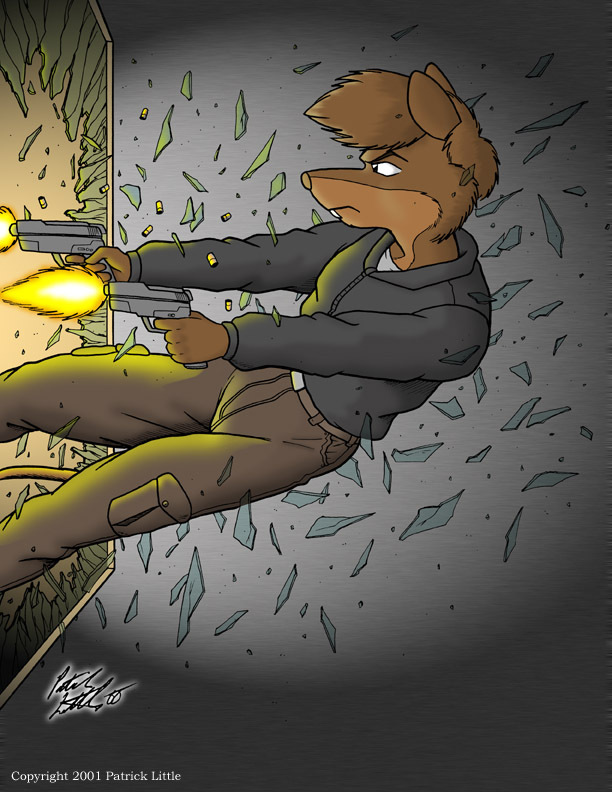 I'd been watching a lot of action movies around when I drew this, so I was in the mood to draw action scenes. This was the most difficult coloring job I've ever given myself, I like the results. 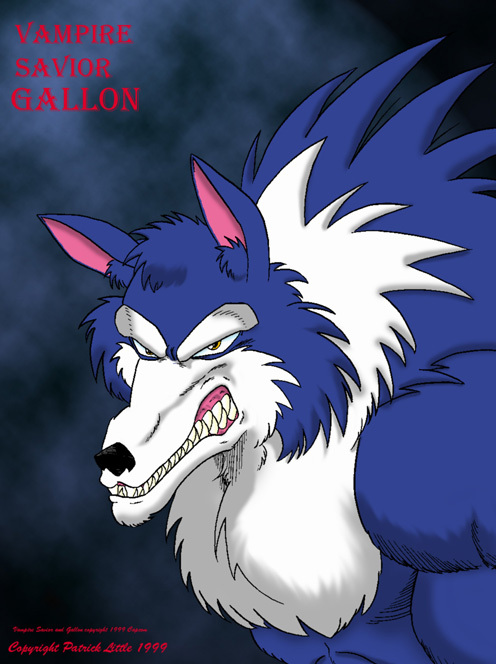 Gallon the werewolf from the Darkstalkers games. One of my earliest Photoshop color works, and a rare example of my fan art.